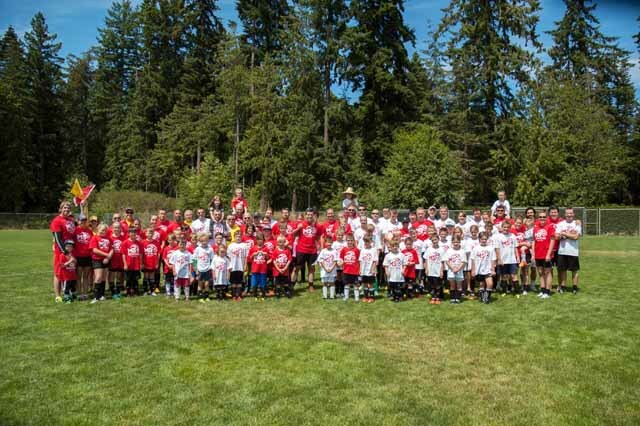 The Island Savings Centre is once again partnering with TIDE Soccer and the Cowichan Valley Soccer Association to bring the MS Kick for the Cure back to Duncan this year. 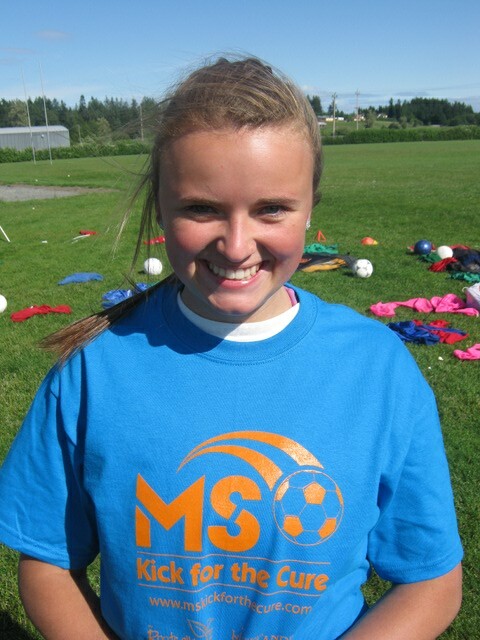 The goal of this event is to raise funds and awareness for Multiple Sclerosis while having a great time playing soccer. Participants are asked to bring a minimum pledge amount to the field, where they will be sorted into age groups and teams. All participants will receive a t-shirt and be entered into a prize draw. Prizes will also be awarded to the top overall fundraisers. We encourage everyone to raise as much as possible so we can help put an end to MS! Thank you to our sponsors: Vancouver Island Physiotherapy Clinic, Tousaw Law Corporation, Volume One Bookstore, World Cups Youth Soccer Festival, Tide Soccer, Cowichan Valley Soccer Association, Darren Meiner - Remax of Duncan, Soccer World, Best Buy, Sports Traders, Sunfest, Summit Mechanical Systems, Great Greens Farm Market, Cowichan Eyecare, Craig Street Brewing Company, Soccer City, Accent Screenprinting, Flynn's Fish n Chips, Party Crashers, Cowichan Golf & Country Club. Click here to read the full story on the CHEK news website. Thank you to everyone involved for once again making our event another success!! 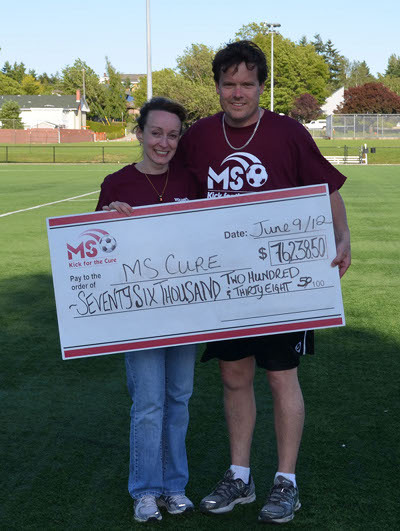 Together we raised over $20,000.00 for MS research and client services. Thank you!!! 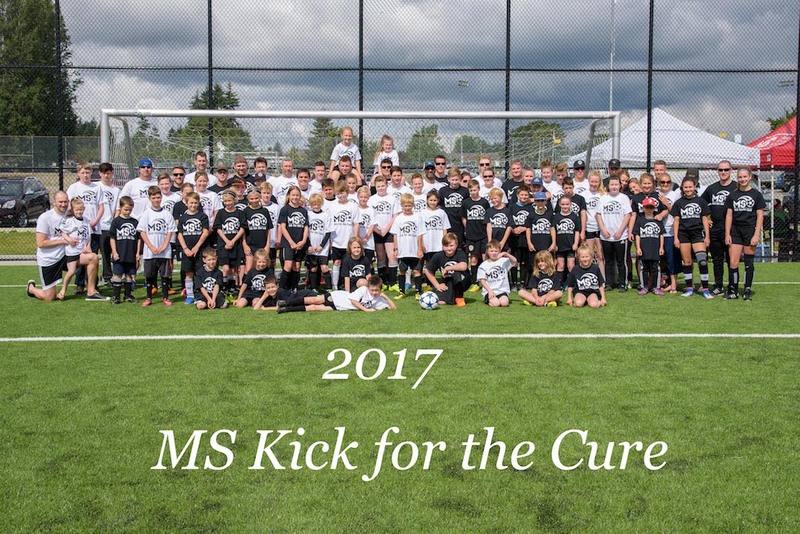 The Island Savings Centre is once again partnering with Tide Soccer and the Cowichan Valley Soccer Association to bring the MS Kick for the Cure to Duncan this year. 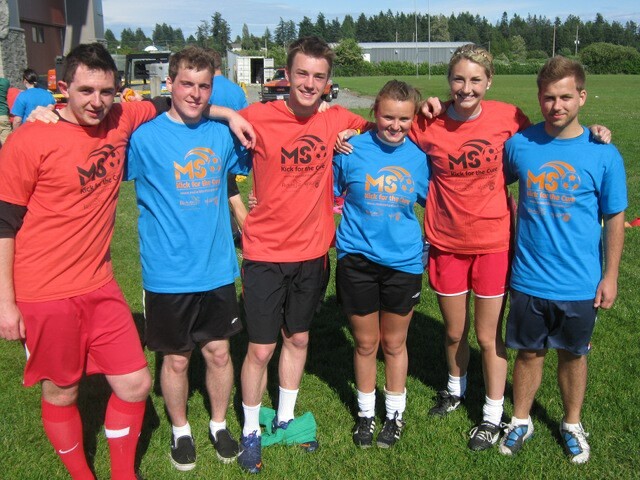 The goal of this event is to raise funds and awareness for Multiple Sclerosis while having a great time playing soccer. Participants are asked to bring a minimum pledge amount to the field, where they will be sorted into age groups and teams. All participants will receive a t-shirt and be entered into the prize draw. Prizes will also be awarded to the top overall fundraisers. We encourage everyone to raise as much as possible so we can help put an END to MS! Thank you to our sponsors: Vancouver Island Physiotherapy Clinic, Tousaw Law Corporation, Volume One Bookstore, World Cups Youth Soccer Festival, Tide Soccer, Cowichan Valley Soccer Association, Darren Meiner - Remax, Great Greens Farm Market, Accent Screenprinting, Cowichan Eyecare, Craig Street Brewing Company, Flynn's Fish n Chips, Party Crashers, Soccer City, Soccer World, Sports Traders Duncan, Summit Mechanical Systems. 2017 MS Kick for the Cure - first year at the Sherman Road Fields in Duncan. Over 100 participants and $18,500 raised! Thank you to our sponsors: Accent Screenprinting, Cowichan Eyecare, Cowichan Valley Soccer Association, Craig Street Brewing Company, Darren Meiner - Remax of Duncan, Flynn's Fish n Chips, New Wave Artificial Grass, Soccer City, Soccer World, Sports Traders Duncan, Tide Soccer, Tousaw Law Corporation, Vancouver Island Physiotherapy Clinic, World Cups Youth Soccer Festival. 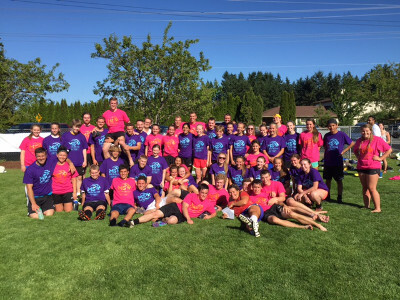 Photos of the 2016 Kerry Park MS Kick for the Cure are now online in the Photo Gallery! This years Kerry Park MS Kick for the Cure is excited to announce that Olympic bronze medalists Emily Zurrer and Carmelina Moscato will be attending! Huge thank you to both of them for their support! 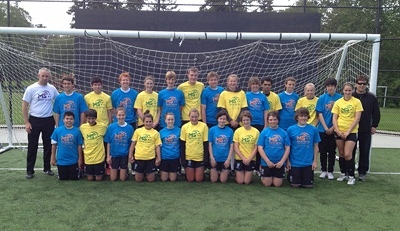 The goal of this event is to raise funds and awareness for Multiple Sclerosis while having a great time playing soccer. Participants are asked to bring a minimum pledge amount to the field, where they will be sorted into age groups and teams. All participants will receive a t-shirt and be entered into the prize draw, which will take place at 3:00 pm. Prizes will also be awarded to the top overall fundraisers. To register please email Darcy Kulai at [email protected] or call Kerry Park 250.743.5922. Pledge forms will be emailed out at time of registration or can be picked up at the Kerry Park office. We encourage everyone to try to raise as much as possible so we can help put an END to MS! Thank you to all the kids and supporters! Special thanks to Jackie Cunningham for your efforts in organizing!! Sunday May 31st, all 3 games start at 1 pm @ Kerry Park Recreation in Mill Bay. Under 18 will need to sign a consent form before playing. Top fundraiser prizes so aim high!! The MS Kick for the Cure is happy to announce we will be doing a mini MS Kick! On Sunday May 31st from 1-4 pm at Kerry Park rec centre in Mill Bay. Adult game will be 1-4 for ages 13 and up. 2 kids games 7-9 and 10-12 length TBD. More info soon! Book it now. 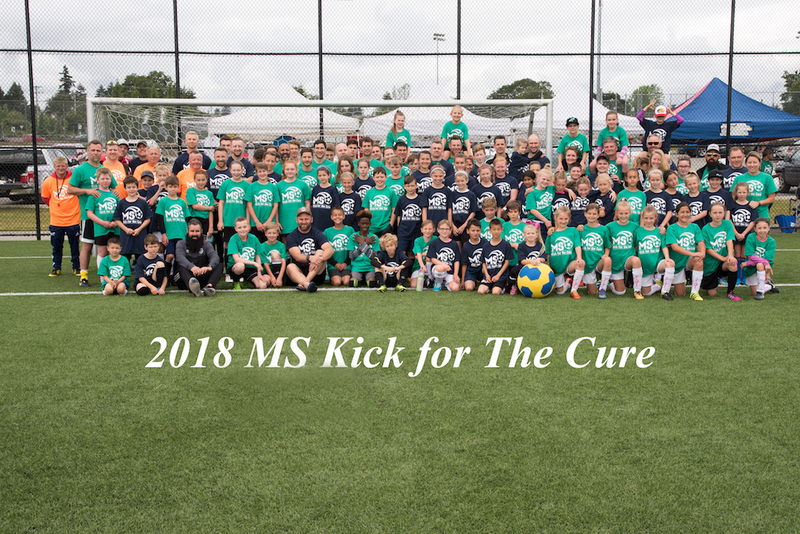 Have a great time playing soccer and raise funds and awareness for MS.
ANOTHER HUGE SUCCESS AT THE STELLY'S HIGH SCHOOL MS KICK FOR THE CURE! The Stelly's High School MS Kick For The Cure raised a grand total of $2,850! A big thank you to all the students and alumni for their continued support! You guys are helping to make a difference in the lives of people living with MS here on the island. A great afternoon! Special thanks to Jackie Cunningham and Dom Butcher for all their time and effort in organizing. As well we would like to thank Peninsula Co-op for once again being a HUGE support to this event, thank you! 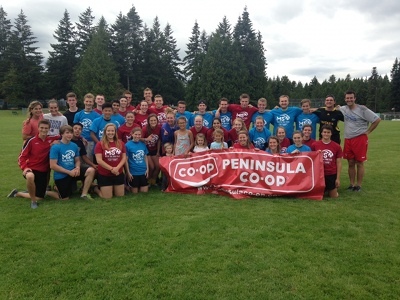 A huge thank you to Peninsula Co-op for their continued support of the MS Kick for the Cure! 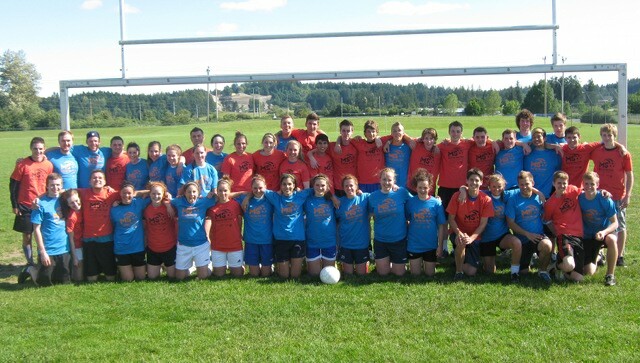 Stelly's MS Kick For The Cure high school event will be held on June 10th, 2014 at 3pm at Stelly's Secondary School, 1627 Stelly's Cross Road Saanichton, BC. Come out and support a great cause and cheer on these amazing kids!!! 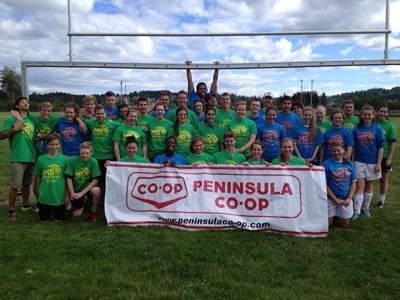 HUGE Thank you to Peninsula Co-op for sponsoring the high school version of the MS Kick For The Cure. We would like to thank staff and students at both Reynolds and Stellys schools for their support in our fight against MS.
Special thanks to teachers Dom Butcher, JJ Atterbury and Jackie Cunningham for your time and effort in helping to organize the games and make it a success. On behalf of my wife Darcie and I, we would like to announce that due to personal reasons there will be no 2013 MS KICK FOR THE CURE event. I would like to thank all of our past players, volunteers, committee members and sponsors for your incredible support. Our family and friends run event has raised a tremendous amount of awareness and close to half a million dollars in funds for the South Island MS Chapter. We need to take some time to recharge our batteries as this 7 year run has taken a toll on us. We hope you understand and continue to support MS related events. We are not saying goodbye......until next time. 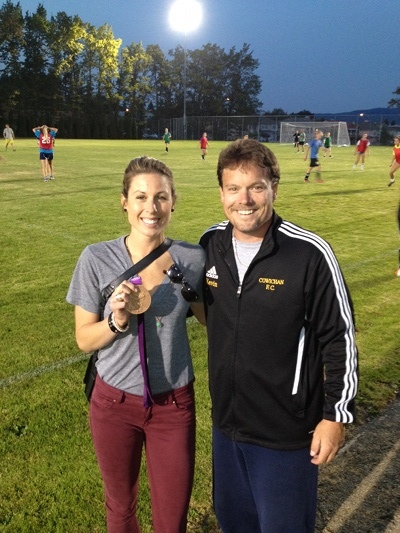 MS Kick For The Cure player and Olympic bronze medalist Emily Zurrer with Kevin James at soccer practice. $76,238.50 RAISED FOR MS RESEARCH! 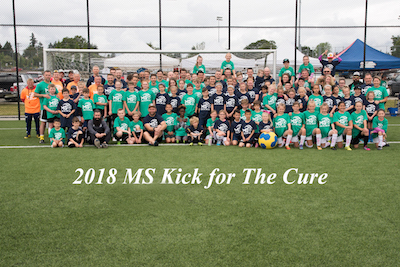 Thank you to all of the players, volunteers, sponsors, special guests and everyone who helped to not only make the MS Kick For The Cure possible, but to make it such a huge success year after year! We will END MS! A HUGE thank you to all of you at Stelly's and Reynolds who are helping to make a difference in the lives of people living with MS! We will be having a silent auction at the 2012 MS Kick For The Cure. Come out to the game and bid on some of these amazing items! We are happy to announce that Canadian Women's National Team member Emily Zurrer will be playing in the 2012 MS Kick For The Cure! 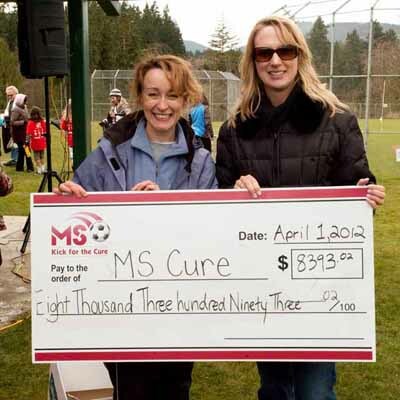 The Kerry Park Mini MS Kick for the Cure raised $8393.02! 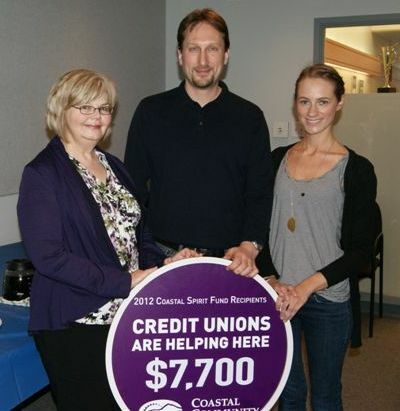 Thank you Coastal Community for once again supporting the MS Kick for the Cure. We appreciate all of your support! We are proud to announce the presenting sponsors for the 2012 MS Kick For The Cure! 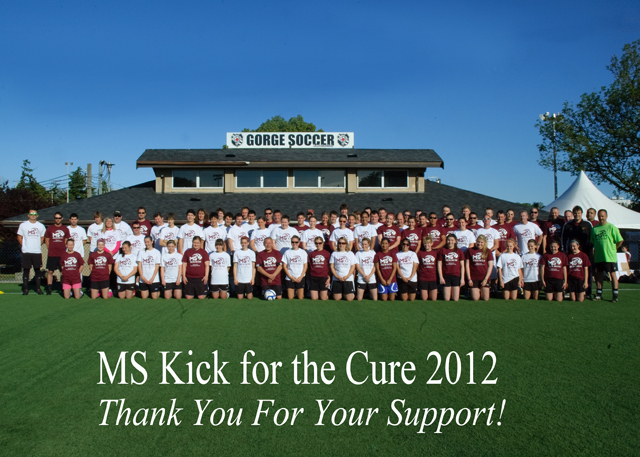 REGISTRATION FOR THE 2012 MS KICK FOR THE CURE IS NOW OPEN! A HUGE thank you to the Gorge Soccer association for once again hosting our event! The VISL will be generously donated the 50/50 proceeds to us once again from their event! There will be three games played throughout the day with 3 different 50/50! Please come out to watch some great soccer and help kick off our first fundraiser of the year! Date will be Saturday Jan 7/2012 - and there will be 3 games.